DeKalb takes on Cary-Grove during their IHSA Class 6A quarterfinal football game on Saturday, Nov. 12, 2016 at DeKalb High School in DeKalb. DeKalb won 35-21 and will advance to the semifinals. 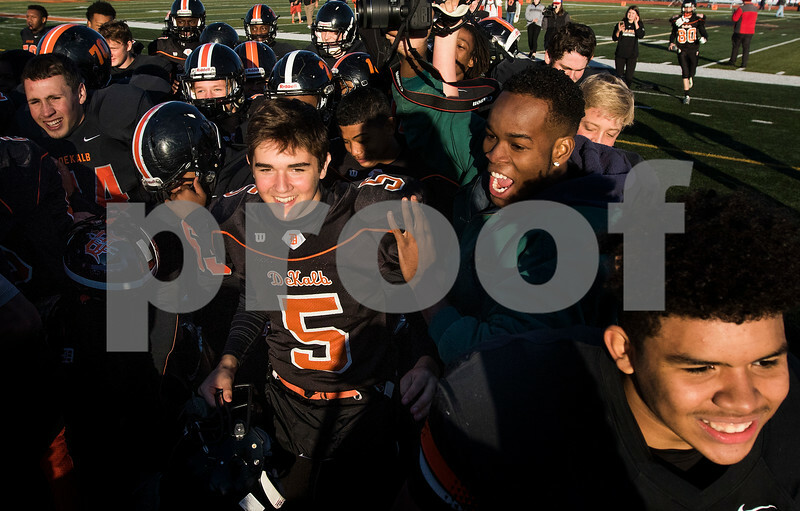 DeKalb Barbs are all smiles as they head off field to greet their fans after their IHSA Class 6A quarterfinal football game against Cary-Grove on Saturday, Nov. 12, 2016 at DeKalb High School in DeKalb. DeKalb won 35-21 and will advance to the semifinals.